Tucked behind Powermat's Charging Spot 4.0 announcement was another important press release from the biggest rival of the Qi wireless charging standard that almost went unnoticed. Powermat basically said that it is throwing in the towel, and will join the Wireless Power Consortium (WPC), which is the creator of said Qi standard. Qi has become the dominant wireless charging standard on the market, and the recently launched Apple iPhone lineup is evidence of this success. 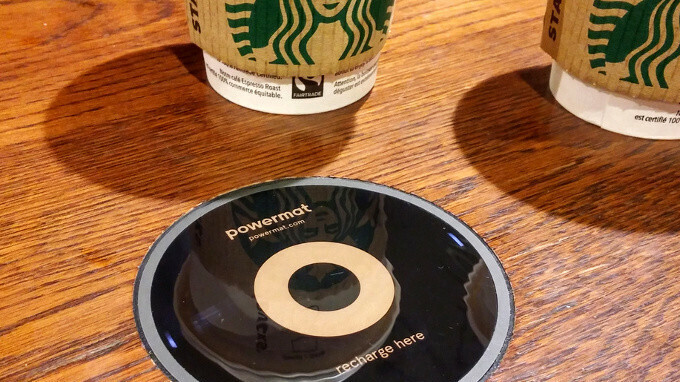 With Powermat joining the WPC juggernaut of a consortium, and pushing an update to make its legacy PMA mats in Starbucks compatible with Qi, there is now one wireless charging standard to rule them all, which bodes well for future interactivity with charging stations. Now, if we could only get one high dynamic range standard for screens to cover, too, that would be singularity. When are we having true wireless charging? That means Samsung no longer have to support PMA, and they don't need their wireless charging to be adaptive. Good we only needed one anyways.